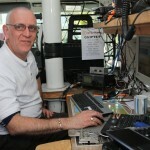 Here is some more information about the operators on Mull 2012. 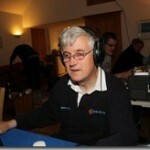 Steve Blunt G8CRB (GM8CRB while in Scotland) – Recently joined the Camb Hams, and his first trip with the group. 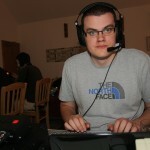 Another gadget geek, and enjoys operating data modes. 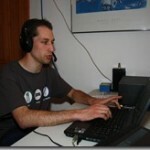 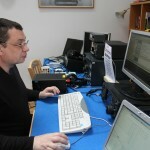 Working DL6BGR on 30m PSK when this picture was taken. 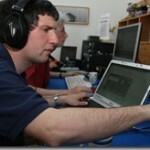 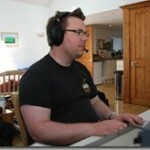 Dominic Smith M0BLF (MM0BLF while in Scotland) – Yet another Red Gate geek, keen CW operator and contester, CUWS member, and also videoing much of the Camb Hams goings-on together with M0VFC for a mini-documentary. 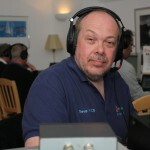 Doesn’t normally look this serious! 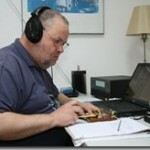 Working F4ARM/QRP on 20m SSB when this picture was taken. 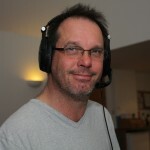 Mark Hickford M0MJH (MM0MJH while in Scotland) – Amateur singer and samba drummer (surdo – whatever that is!? 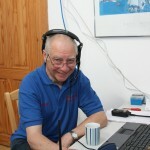 ), enjoys Jack Daniels and custard, sometimes simultaneously, pedestrian mobile HF operations (including working VK7s from his backpack) and plays bingo. 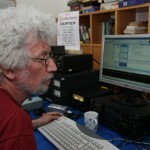 Working M1JNC on 40m SSB when this picture was taken. 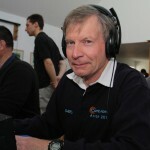 Terry Chipperfield G3VFC (GM3VFC while in Scotland) – Rob M0VFC’s dad, member of the Medway group, cooks a great chicken curry (but don’t let him cook the rice!) 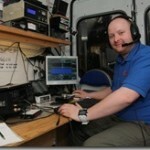 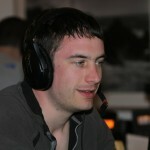 Operating on 80m when this picture was taken.